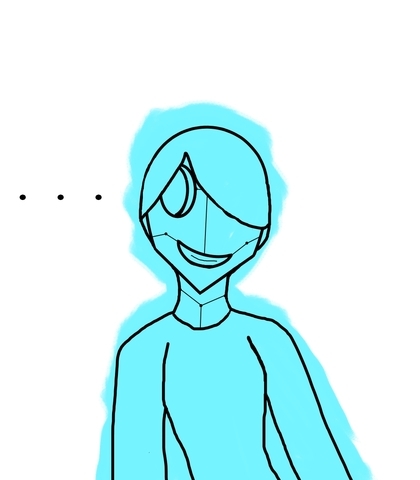 I have a few frames of this done already and I thought: "Hey, Ray, you can't voice guys for s- SNEAKERS I WAS GONNA SAY SNEAKERS, So why not just give yourself the role of animator and just have other people do all the voice work, i mean, you already work for so many people!" and I told myself "hey self, you're right! speaking of which, i should probably go do my job right now huh?" then i told myself "Ray it's 21:18 go to sleep you have things to do early in the morning." then i said "after i put this on castingcall!" so here I am. This animation (possibly a series???) is about Con, Rain, and Ami (aww-me) as they traverse their world and try to take down the government of said world, who are actually against the citizens. This takes place in an alternate world where magic exists. The time is present day Seattle Washington. Ami is a werewolf that usually takes the form of a grey dog walking on two feet. Ami knows more about the world than the others and is okay with any other species besides rival werewolf packs. He deserted his pack a long time ago, even though he had an amazing life as the Alpha's oldes't son. Ami is actually only 20 making him younger than than Con by 3 years, and Rain dosen't have an age so we wouldn't know. When Ami is in his human form he has black hair that swishes upwards, and normally shaded skin, he sometimes chooses to show his wolf ears and tail while in his human form. In both forms he is 6'1 without counting his ears. *whispering* I'm not in love with a robot I'm not in love with a robot I'm not in love with a robot I'm not in love with a robot. stop talking to plants, it's making me confused. 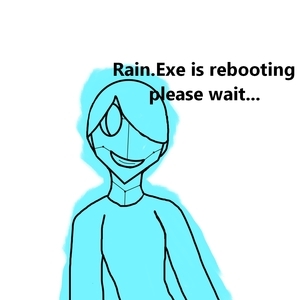 This is rain's system/programming/whatever you wanna call it. Personally i give it a monotone voice without a gender but I don't really care what they sound like, to be honest. I don't know if you'd say it has a major roll but I guess. It appears twice in the animation so you can tell Rain is gonna malfunction a bit. System error......... can you give us a moment here boys? Rain is a sentient robot that runs off of 2 AA batteries at a time. She has a storage compartment where her stomach would be. She is 6 feet tall exactly and has the voice of a teenage girl. She is the only Rain in the world, and her developers are out looking for her. She ran off in the middle of being worked on and parts of her are missing. She has a speaker in the back of her neck where the system speaks from. She speaks from a speaker in where her throat would be. She dosen't like humans. I have no hope in the human race. Just because I was built by humans dosen't mean I have to like them. C.A.L.L. is the being that is controlling the government. They have a serious past with Con. They hate Rain because she is the only one who knows how to defeat them, but it is burried in her programming. Ami holds a grudge on them for terrorizing his pack when he was a puppy. blah blah blah blah my fault this my fault that. You're the one who used to talk to trees! Con is a deep-red skinned humanoid creature with claws and sharp teeth.He's a jerk and a huge flirt. we're all pretty sure he's in love with this one side character but we won't get into that.He's 6 feet and 2 inches tall. He escaped the underworld and found a malfunctioning Rain and a severely injured Ami in the middle of the woods, and helped them. He's the leader of their team and hates other beings entirely. Did I ever tell you two the story of how i met you mother? Yes I am very aware you two are not my children nor am I married, let alone to either of your mothers. Yes I am also aware that Rain does not have a mother. I am also aware of you trying to speak, but I am very set on that not happening. nobody cares about your love dynamic, Corraline, you're a tree!! hang in there marshall, we're gonna get outta this trash heap someday!